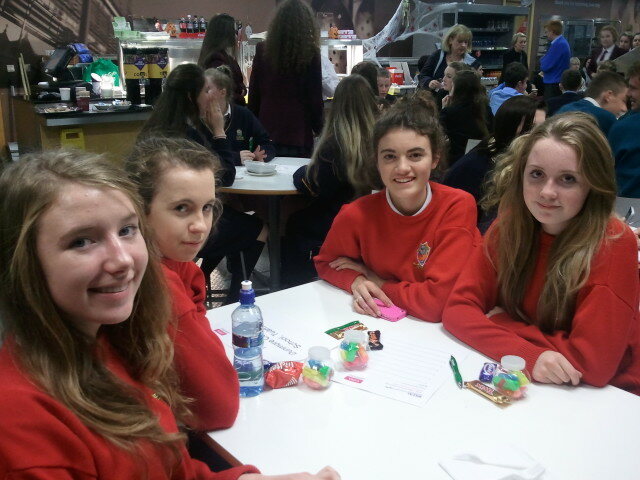 Well done to our two teams from 3rd Year Business Studies who took part in the CIMA/BSTAI Junior Certificate Business Quiz in NUI Galway recently. 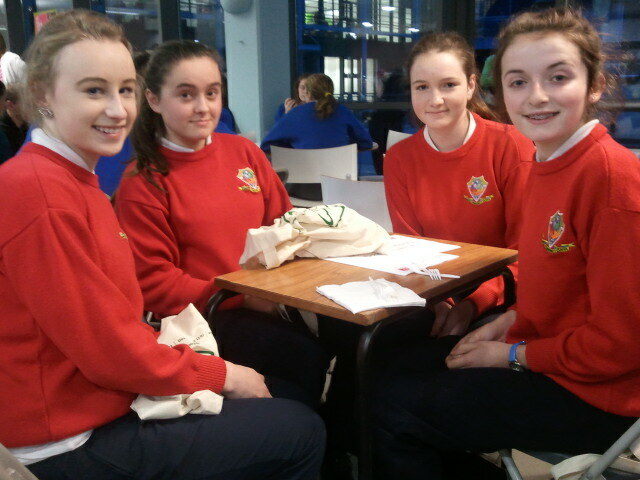 Aoife Sheehy, Chloe Warde, Sarah Kate Nestor and Caitriona Ronayne. 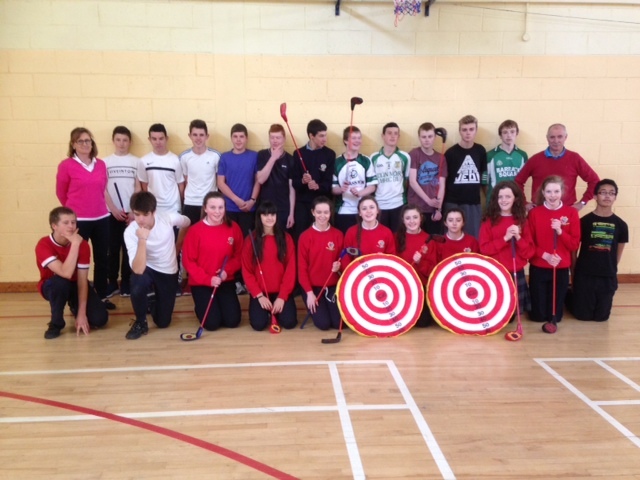 The transition year students took part in a golf workshop. It was an enjoyable event where they developed their skills. 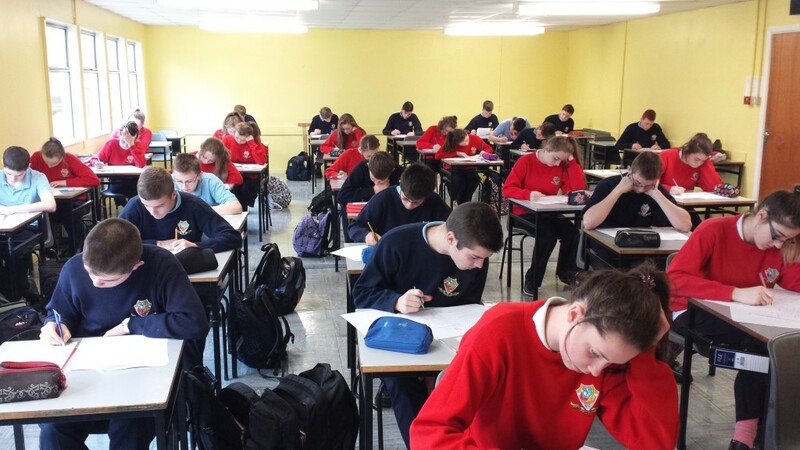 65 students from Transition Year and 3rd, 5th and 6th years took part in today’s maths week Prism maths competition, run by NUIG. 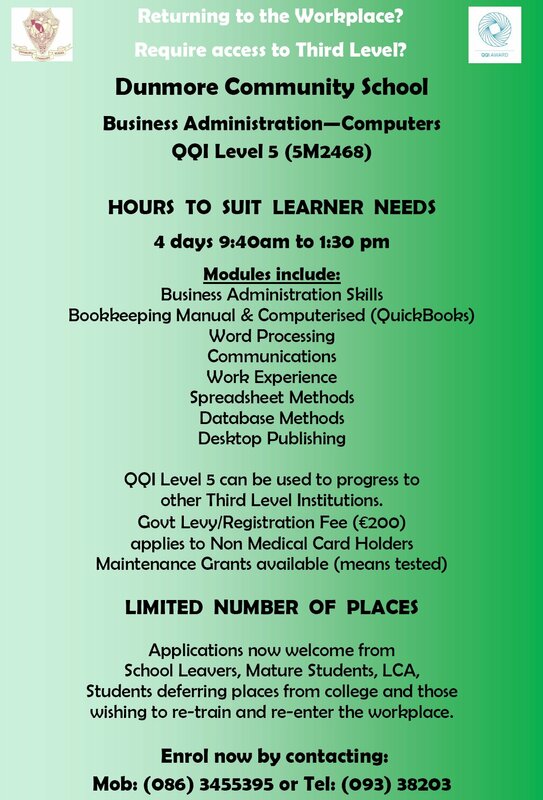 There will be certificates for the Junior and Senior winners in due course. 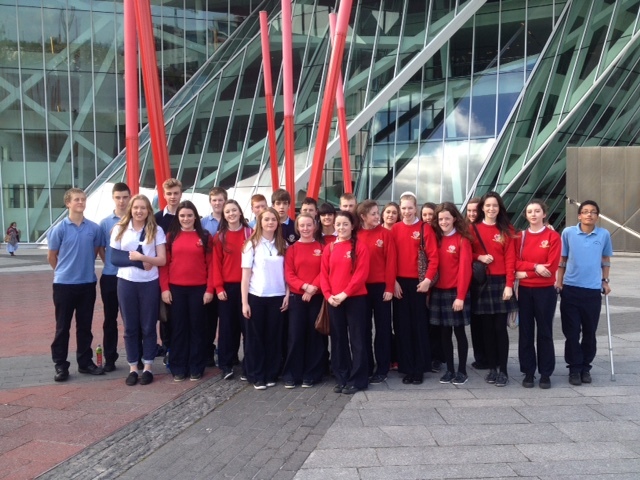 NUI Galway’s College of Business along with the BSTAI, Junior Cert Business Studies Awards Ceremony was held recently in the Bailey Allen Hall in NUI Galway. The ceremony celebrates those students who achieved an A Grade in the Higher Level Business Studies exam at Junior Cert level. 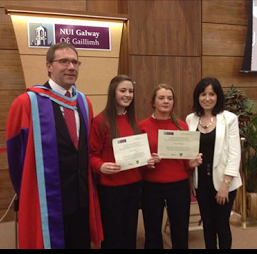 Pictured are Sinead Mullins & Mairead Gallagher along with their teacher Ms Martina Duignan. Congratulations and well done on such a fantastic achievement! 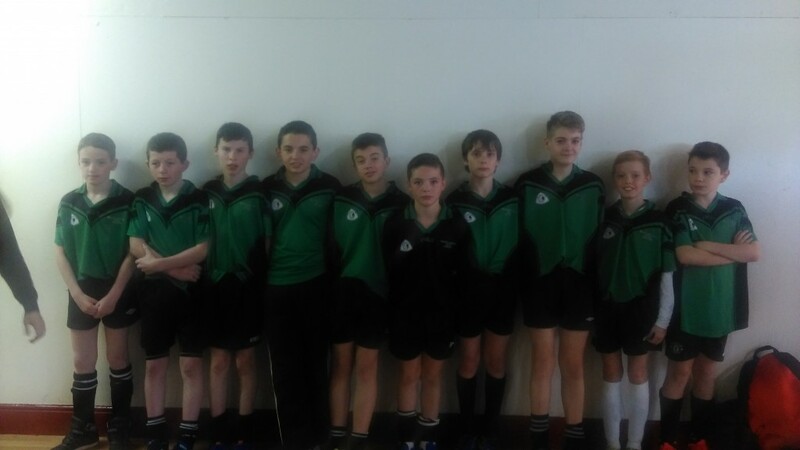 On Monday a talented group of first year soccer players competed in their first futsal tournament hosted by Presentation College Athenry. It was a successful day as the team won the third place play-off showing off some skillful touches in the process. Well done. 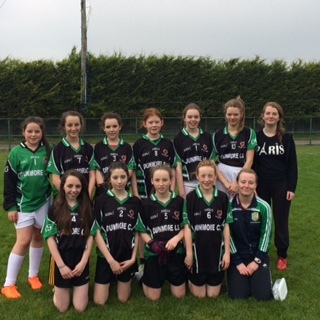 Our first year girls travelled to Mountbellew to take part in a football blitz. 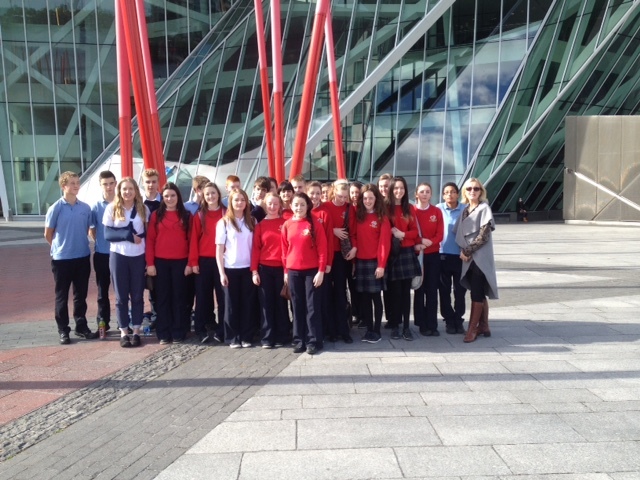 Some of our transition year students were mentors and also helped to officiate on the day. The girls had a great day. 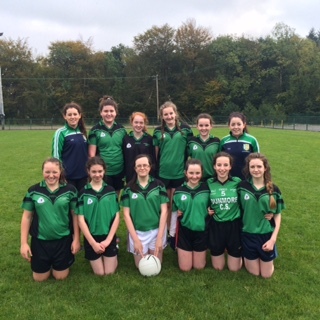 Our Junior girls had a convincing win today beating Gairmscoil Mhuire Athenry 7-32 to 0-1. It was a great team performance. 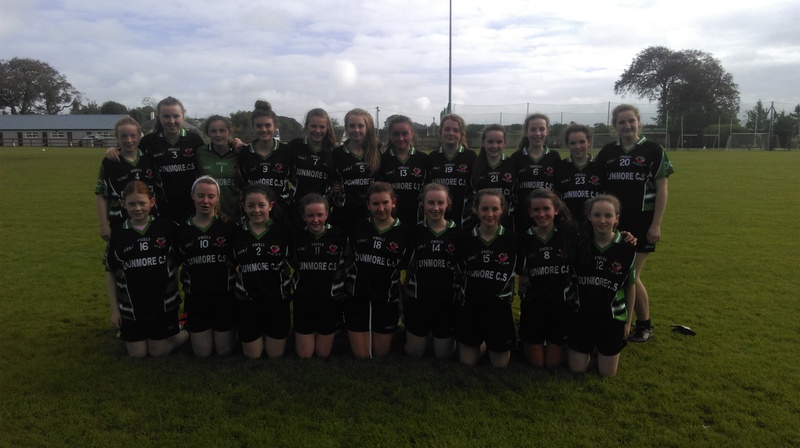 Well done to all members of the squad, who got their sporting endeavours for DCS off to a great start today with a convincing win over Coláiste Mhuire Ballygar. 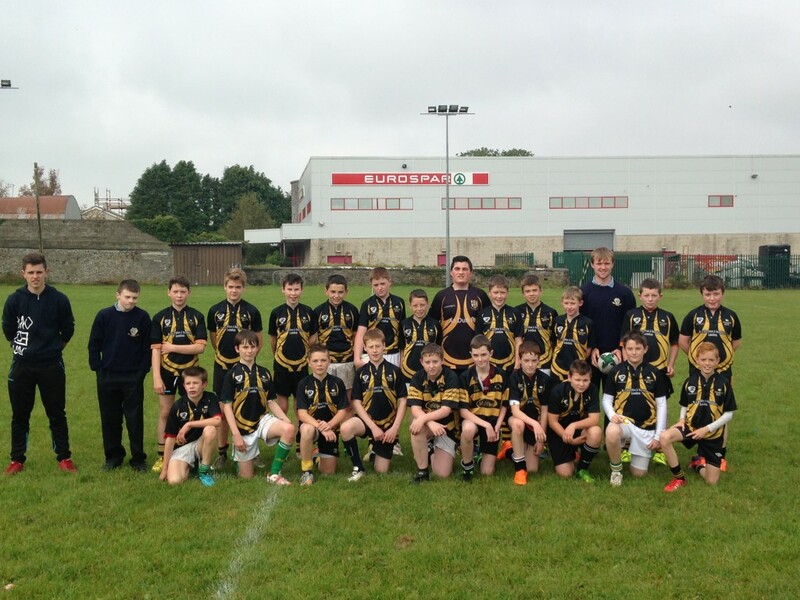 Special thanks to Greg Fallon and Dunmore RFC for their support.